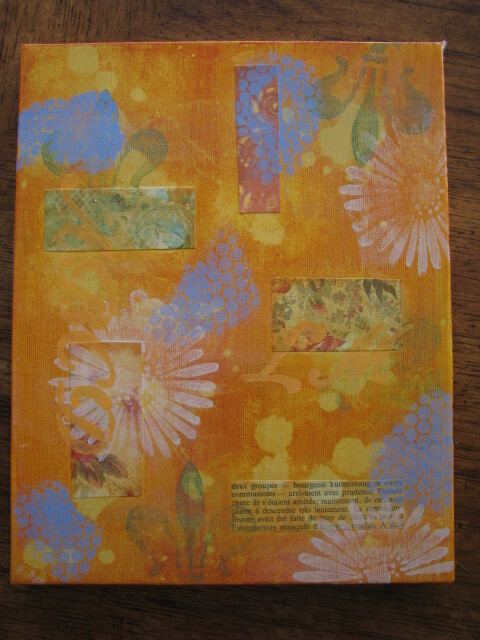 I finished the second canvas for Paulette Insall’s Organic Backgrounds on-line class last night. I like this one – the periwinkle blue really makes the canvas POP! I also added a layer of letters using a tangerine color, very subtle, but effective.